The Lab at Suspended Brands is a true workhorse combining a seamless blend of art, science, and technology. 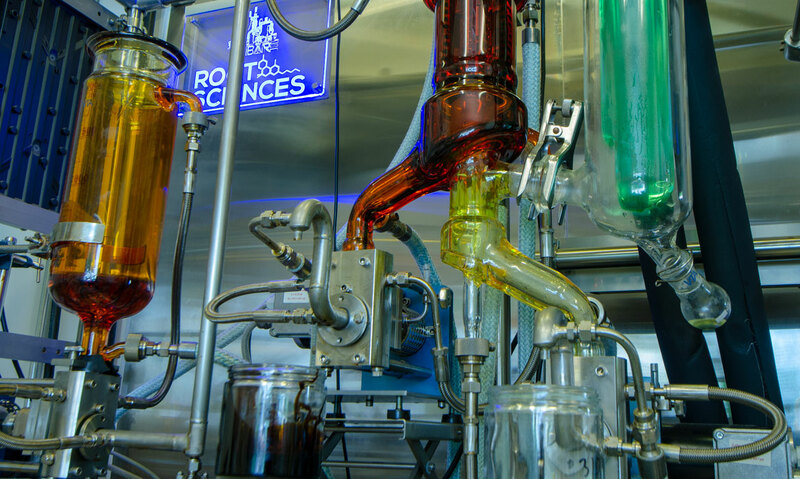 All products to leave the lab undergo a proprietary filtration process prior to our final distillation. This leaves us with a perfect blank canvas for flavoring vape cartridges, or infusing edibles with no cannabis taste or smell. Suspended utilizes two separate light hydrocarbon extraction systems. The newest addition to the team is a 30L MEP “Turbo” edition from Extractiontek Solutions. This allows us to extract over 100lbs per day to feed our post processing systems. Bare Naked Concentrates is our base level concentrate brand offering vape cartridges and concentrate syringes in a number of flavors in both THC and CBD.